In GP4 (Grant Period 4) cHiPSet Action IC1406 will support upto six Conference Grants. You are a PhD student or an Early Career Investigator (up to 8 years after PhD defense). Your primary affiliation is in the Czech Republic, Estonia, Croatia, Hungary, Latvia, Lithuania, Luxembourg, Malta, Montenegro, Poland, Portugal, Romania, Slovenia, Slovakia, FYR Macedonia, Serbia or Turkey. You have a paper or poster accepted for presentation at an international conference. The topic of your paper or poster and the conference theme are relevant for cHiPSet. European conferences are preferred, but conferences elsewhere can be considered as well. subsistence up to 160 EUR per conference day attended, minus 20 EUR per lunch/dinner provided as part of the conference package. The maximum amount of a Conference Grant is 1450 EUR. Grant applications can be submitted any time, but must be submitted at least 45 DAYS BEFORE the conference AND NO LATER THAN February 15th, 2019 (Hard Deadline). 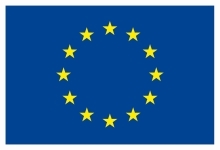 Fill in the conference grants application form in the e-cost system (https://e-services.cost.eu/). Consult the USER GUIDE as needed. Save your application, but do not yet submit. c) proof of acceptance of your paper or poster (as provided to the e-cost system). The cHiPSet Conference Grants Committee verifies your application. If your application is complete and formally meets all COST requirements, we invite you to submit your application in the e-cost system. We further initiate the voting procedure of the Core Group (CG) that formally decides about your application on behalf of the Management Committee (MC). grant in the e-cost system and you receive a formal notification. Successful conference grant holders must properly acknowledge their EU financial support, received through the cHiPSet COST Action IC1406, in their published paper/poster as well as on the respective presentation slides. At most 30 calendar days after the last conference day attended, but no later than March 25, 2019, conference grant holders must upload a scientific report (2 pages) to the e-cost system. This report must be aligned with the template provided in the e-cost system. This report including paper, presentation slides and/or poster as appendices, must be sent to the cHiPSet Conference Grants Committee (confgrants@chipset-cost.eu). Failure to produce the above documentation in time may result in cancellation of your conference grant!